Prestige Lakeside Habitat – residential development with a mix of high rise apartments and villas is located on the State Highway 35 proximity to Gunjur Village, off Varthur Road, Bengaluru. It is spread over an area of about 101 acres. Total built up area : 6.4 Million Sq.ft. Parking area : 3.0 Million Sq.ft. The design and planning bring back the leisurely living of Bengaluru. Our relationship with Prestige Developers is deeply enriching. We work not as consultants, but close partners who the client can count on at every stage of the project. Lakeside Habitat is yet another such project for Prestige where we collaborated closely with client teams to come up with unique offerings amidst tough market conditions. 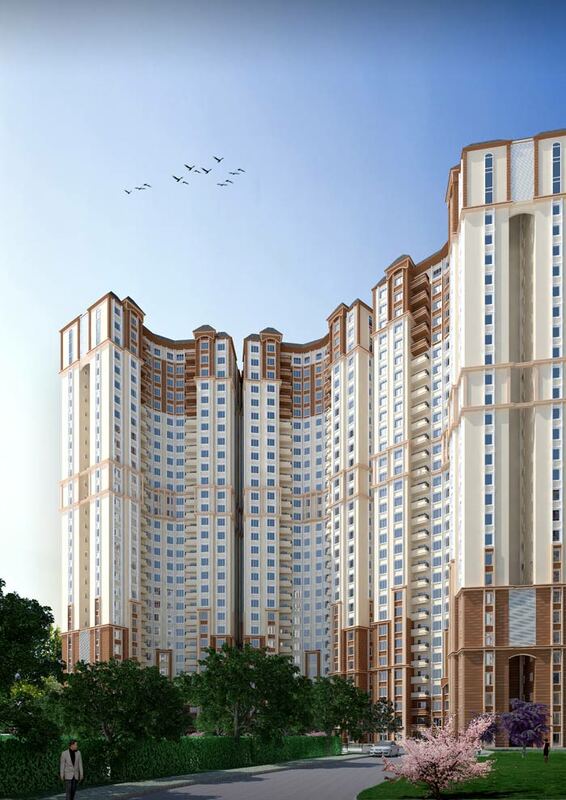 This project is a residential development with a mix of high-rise apartments and villas in the Whitefield area. 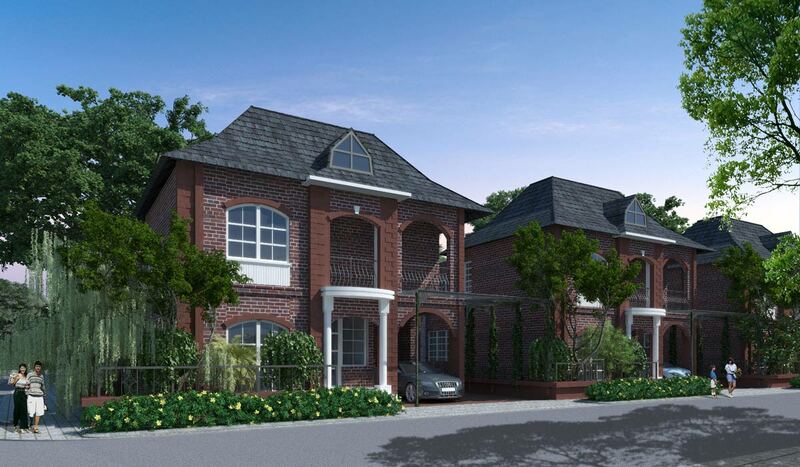 The English design of the villas offers a unique lifestyle, themed around a fairy tale concept inspired by Disney. 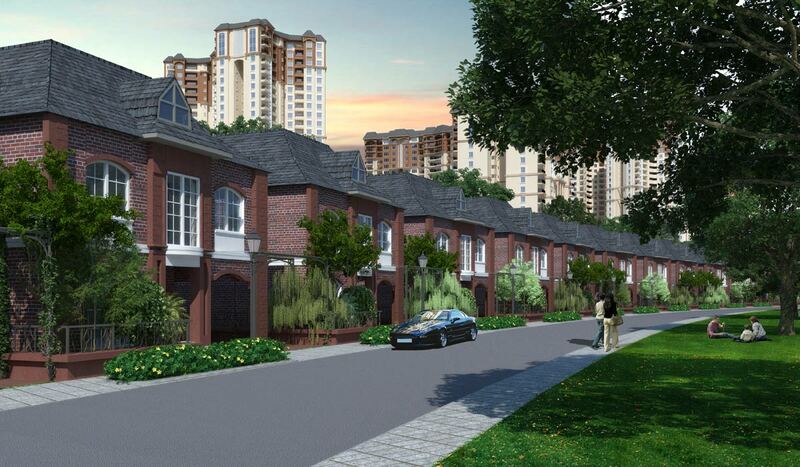 The design intent is to provide a calm and rich lifestyle for the residents of this community. The project is spread over an area of about 101 acres. The entire project is developed as a self contained city with all the facilities like – recreation, health club, indoor and outdoor games, spa, pool, convenient shopping, emergency medical facilities, etc. We worked closely with client marketing and design teams to formulate the best product mix. Vehicular circulation is limited to the periphery of the individual parcels with a 12m wide driveway which leads to individual tower drop offs, ingress and egress ramps segregating main vehicular and pedestrian pathways within the parcel development. Interconnectivity between buildings and access to landscape and recreational amenities would be predominantly through open pedestrian walkways. The architectural character of the entire development has been evolved to draw a distinct yet subtle reminiscence of Neo-eclectic architecture. Prolific decorative details and artistically articulated levels accentuate the bold residential towers. Ambitious, iconic & dynamic, these residential towers provide a unique mix of style and perfection. The villas have been inspired by the cozy cottage style English houses, thus creating an extravagant and lush English countryside setting. The frank and expressive exteriors of the villas are stylized with steeply pitched roofs with a second story road facing gable and the characteristic exposed brick cladding. The arched doorways & window lintels with ornate hardware and exterior lighting complete the English villas that are elegant and exuberant. In addition to the club facilities, outdoor recreational facilities is also planned which includes skating ring, children’s play area, mini golf course, outdoor pavilion, festive lawn, amphitheater, cricket pitch, basket ball court, lawn tennis court, etc. 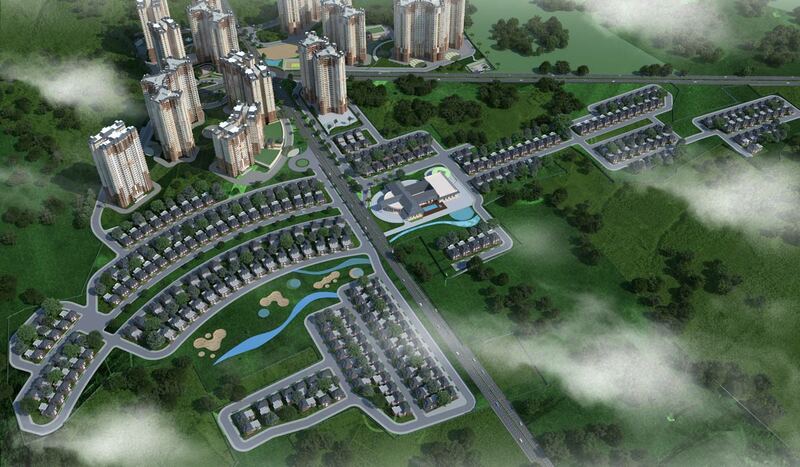 The design of the project received a great response in a sluggish market. 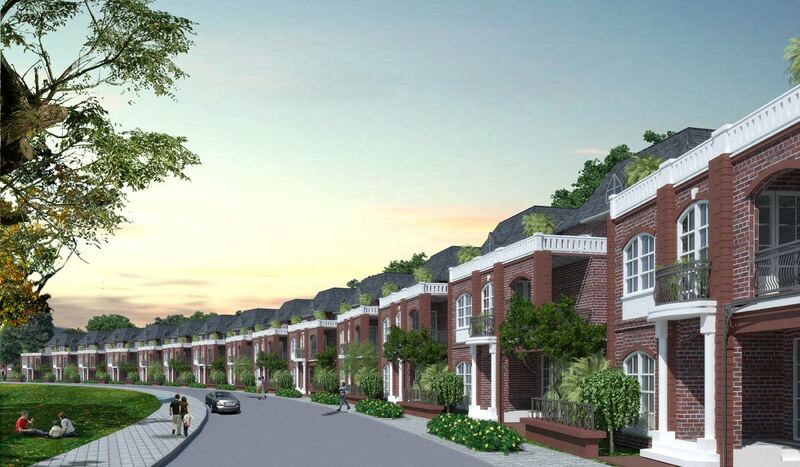 The villas of 3000 SFT were instantly sold out within weeks of launch.